The group has been in existence for over 100 years and continues to be a thriving and dynamic part of the community. We have over 130 members aged between 6 to 18 years old and are one of only 100 Royal Navy Approved Sea Scout groups in the country. Boys and girls can join scouting at different stages dependent on their age, explore this site to see what we do! Bit of pioneering shelter building, bit of crate stacking, bit of orienteering challenges for our cubs tonight. Great to be in the great outdoors! 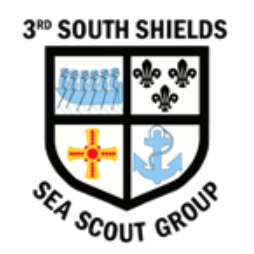 Spotted - two scouts and a cub having a go at surfing in the glorious South Shields sunshine today! If your scouts haven’t tried this yet I can thoroughly recommend. Fantastic Bronze DofE expedition up by the Roman wall this weekend! A possibility for our explorers looking for D of E volunteer opportunities? Assist in our museum, reception and shop, Anglo-Saxon farm, village and grounds, or become a Tour Guide.